Several more premiere dates have been announced since I made my original lists, and I needed to include some of my favorite shows, as well as a few new shows that I am excited to check out. 1. The Americans, season 5 premieres March 7th on FX, stars Keri Russell, Matthew Rhys, Noah Emmerich, Holly Taylor, Keidrich Sellati, Costa Ronin, Frank Langella, and Margo Martindale. The idea of Russian spies operating within the United States hits a little too close to home these days, but this show is set in the ’80s, so we can still pretend it is mostly fiction, right? This is one of the best shows on television right now, and each season it continues to get better. 2. Hand of God, season 2 will be available March 10th on Amazon, stars Ron Perlman, Andre Royo, Alona Tal, Julian Morris, Garret Dillahunt, Dana Delany, Emayatzy Corinealdi, Cleavon McClendon, Elizabeth McLaughlin, Johnny Ferro, and Maximiliano Hernández. Judge Pernell Harris is facing trial for the murder of a cop. His visions are exposing a conspiracy that is bigger than he could have imagined, but his wife is still not on board. Is God speaking through him? Or is he losing his mind? I really enjoyed the first season of this show. It was not perfect, but it was intriguing, and I am interested to see where it goes. 3. Tangled, the movie Tangled Before Ever After will air March 10th on Disney Channel, Tangled: The Series will premiere March 24th, stars Mandy Moore, Zachary Levi, Clancy Brown, Julie Bowen, Adewale Akinnuoye-Agbaje, Diedrich Bader, Jonathan Banks, M.C. Gainey, Sean Hayes, Jeremy Jordan, James Monroe Iglehart, Richard Kind, Peter MacNicol, Jeffrey Ross, Jeffrey Tambor, Eden Espinosa, and Paul F. Tompkins. The truth is, I probably will not regularly watch this, because it is on the Disney Channel, and I am not really their target demographic. However, I love that this has been turned into a television show, and I will definitely make sure that my niece watches it, because she already loves the movie. 4. 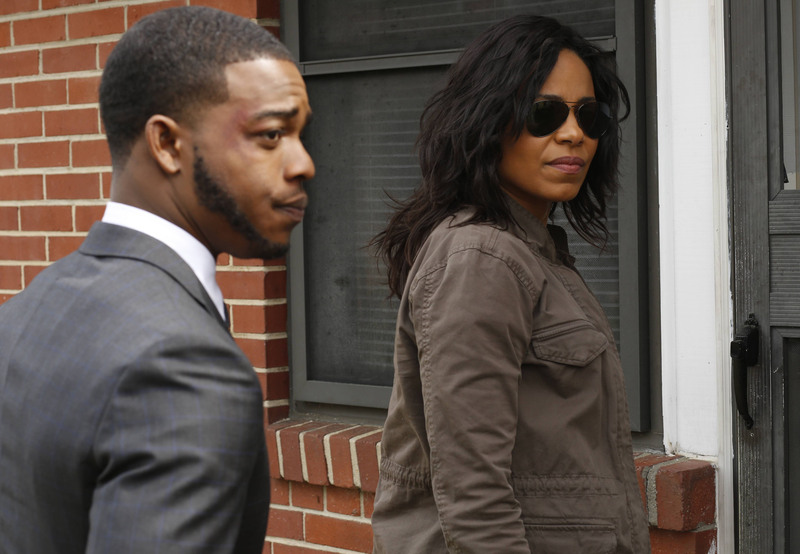 Shots Fired, the series premiere is March 22nd on Fox, stars Sanaa Lathan, Stephan James, Stephen Meyers, Will Patton, Mack Wilds, Aisha Hinds, Clare-Hope Ashitey, Conor Leslie, Dewanda Wise, Richard Dreyfuss, Helen Hunt, and Jill Hennessy. This 10-episode event series takes a look at our criminal justice system and centers around two fatal shootings in a small Southern town. This is extremely topical, and I have been reading some good reviews, so I am interested to see what they do.